My January weekend uniform has mainly been consisting of what I would call sportswear chic. Now, I wouldn't suggest for a moment that you should do actual, proper sport in any of these clothes. Oh no, this is faux sportswear which will simply make you look stylishly stylish, but still ever so comfortable. 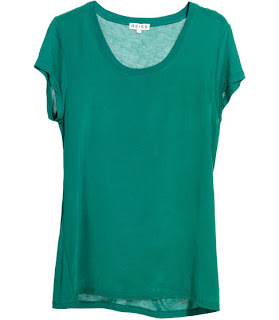 It's one step up from the pyjamas which you really want to keep on for most of January. 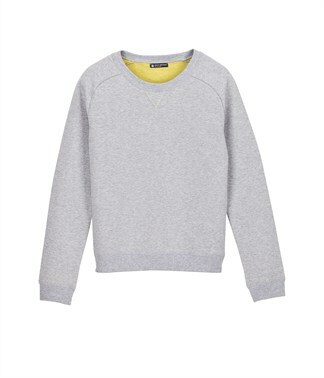 Big friends in this sportswear chic look are silk t-shirts, and sweat shirts. Both look good worn layered, with skinny jeans, and can be worn with Converse or ballet pumps in the day, and dressed up with jewellery, heels and a jacket in the evening. Here's some inspiration - the bold, statement necklace with the sweatshirt works a treat. This top from Uniqlo comes in a whole range of colours - it's actually in their men's range, but the sizes start from XS, and do come up very small. Great value too. 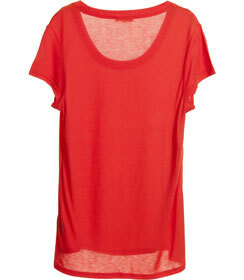 Jaeger also do a dress version of this top - both are in the sale. 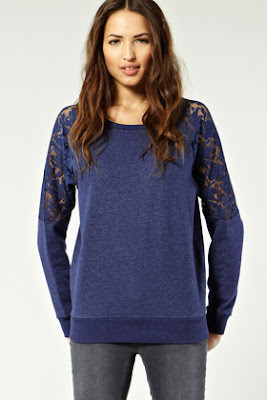 For a sweatshirt with a bit more detail, how about this one below with lace panels? Also comes in cream. 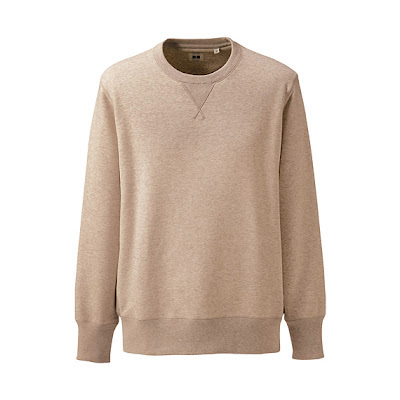 Or if you're after a plain navy blue sweatshirt, I like this one in the sale from J.Crew. 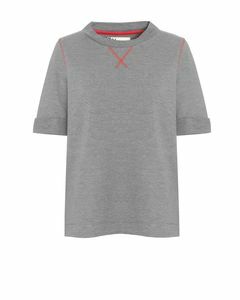 These sweatshirts from Petit Bateau are good quality - they're in the sale, with only certain sizes available, and it also comes in navy. 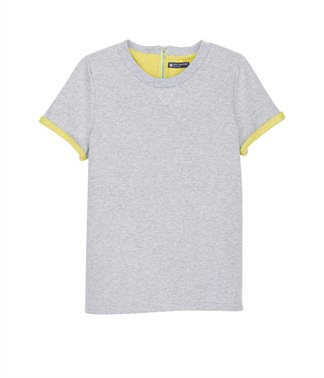 Gap used to do some brilliant plain silk t-shirts, which you can machine wash, but they don't seem to have any this season, although they do have this nice cotton-silk mix striped t-shirt for £25.95 (and have you signed up to GAP emails via their website, because they regularly send you 30% off vouchers). 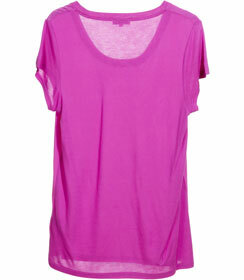 Keep your eye open on the high street for similar versions. I've found these in the Reiss sale, in a whole range of colours.